Discover the proven formulas, strategies, and behaviors that Sandler trained professionals use to strengthen their sales and leadership methods. 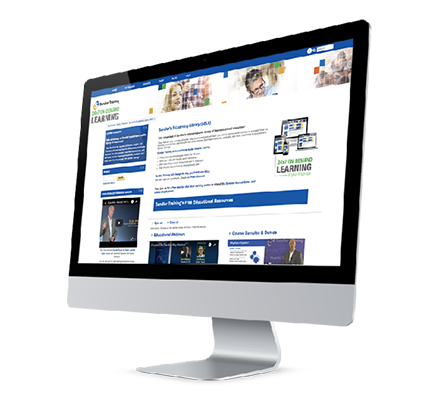 In this special offer, you'll have unlimited access to Sandler’s Education Learning Library (SELL) for one full year. With hundreds of audio, video, and downloadable resources, get to know Sandler’s best tips and success principles. Register for a complimentary, annual access pass to Sandler's E-Learning library (SELL) and gain access to hundreds of audio, video, and downloadable resources with this special offer. Learn why top-performing salespeople and managers are turning to Sandler Training for education and learning. How to introduce new strategies to your daily activities that result in a more qualified pipeline. How to set proper expectations, control the conversation, and support prospects with their decision. How to properly prioritize and focus teams on activities that can have a dramatic impact on your team pipeline.